Cadillac’s lineup of crossovers is thin compared to its competitors – especially the Germans. Cadillac began its crossover revolution with the XT5 replacing the antiquated SRX. The Detroit luxury automaker followed with the smaller 2019 XT4 that debuted earlier this year at the New York Auto Show. Now, Cadillac is going big with the XT6 – a three-row crossover that will be more XT5 than Escalade. 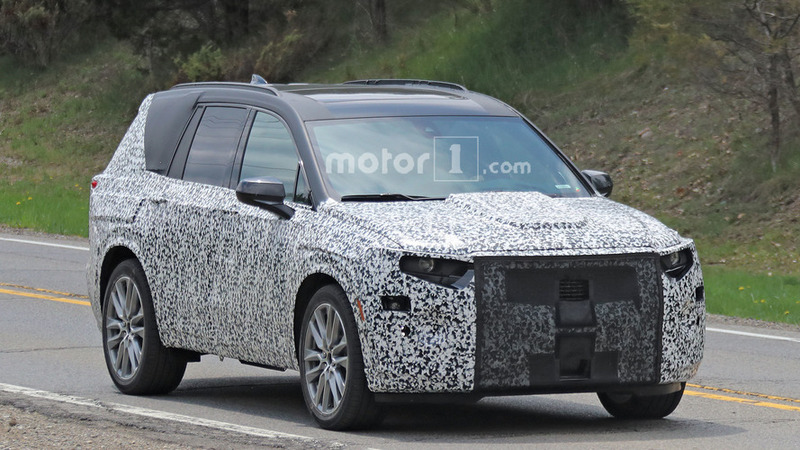 New spy photos of the XT6 crossover don’t show much at all. Exterior design details are well hidden under the camouflage. The headlights and taillights aren’t even real – they’re stand-ins for now. Expect the large mesh grille and Cadillac emblem up front surrounded by swooping lighting elements. Out back, there should be large taillight components. The overall design should fall within the design constraints set by the Traverse – the XT6’s platform mate. 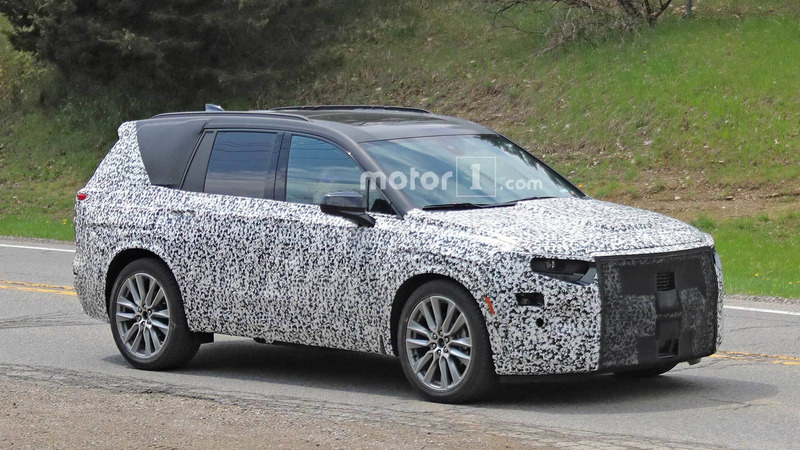 The Cadillac XT6 will be a companion to the CT6 sedan, which will share some serious technology with its new crossover sibling. That means the new crossover will receive Cadillac’s Super Cruise hands-free driver assist package, latest Cue infotainment interface with a 10-inch screen, and a video rear-view mirror. Under the hood, you’ll likely find a 310-horsepower, 3.6-liter V6 from the GM part’s bin. It should pair with a nine-speed automatic and include automatic stop/start as standard equipment. There’s also a possibility for a biturbo powertrain producing around 400 hp for the top-level trim. We’re still a long way away from seeing the final XT6. It’s expected to debut later this year at the L.A. Auto Show before it goes on sale sometime in spring 2019 – think April or May. When it does go on sale as a 2020 model, it will help Cadillac compete against a slew of three-row competitors from both sides of the pond such as the Acura MDX, Audi Q7, Infiniti QX60, Mercedes-Benz GLS-Class, and Volvo XC90. Pricing will be competitive.